Charles was joined live in the studio by Christine Ross, the convenor and organiser of the NAIDOC Aboriginal and Torres Strait Islander Women’s Conference. The conference is being held at the UNSW Kensington campus on the 11th and 12th of July 2018. 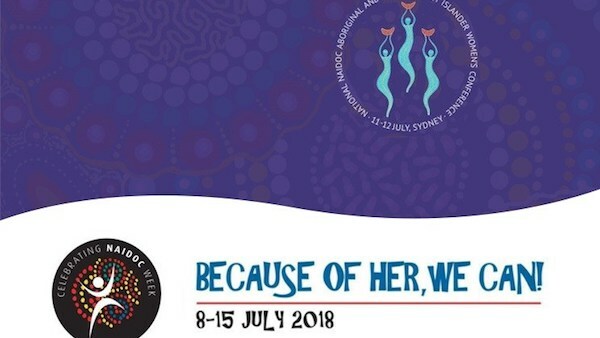 According to Ms Ross, when the NAIDOC 2018 theme of “Because of her, we can” was announced in November 2017, setting up the conference was a “no brainer”.